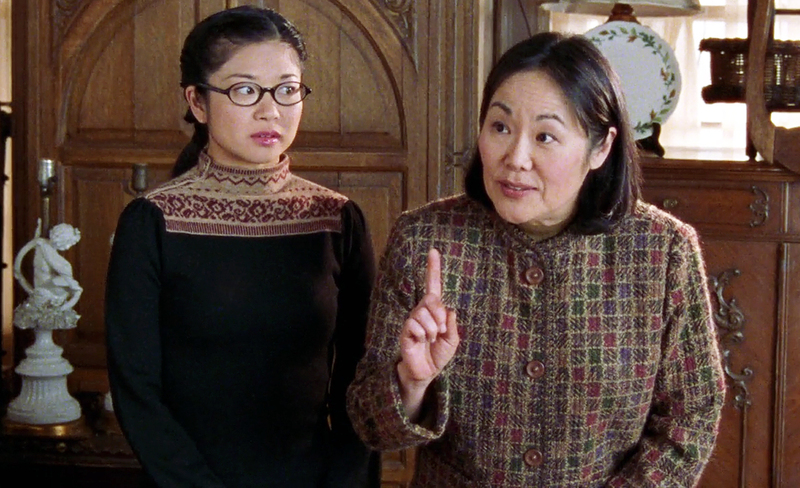 Mrs. Kim and Lane, played by Keiko Agena, had plenty of tension-filled moments over the years. As for the worst argument? When the matriarch kicked the teen out of the house after she found Lane’s hidden clothes, music and makeup scattered underneath her wood floor. 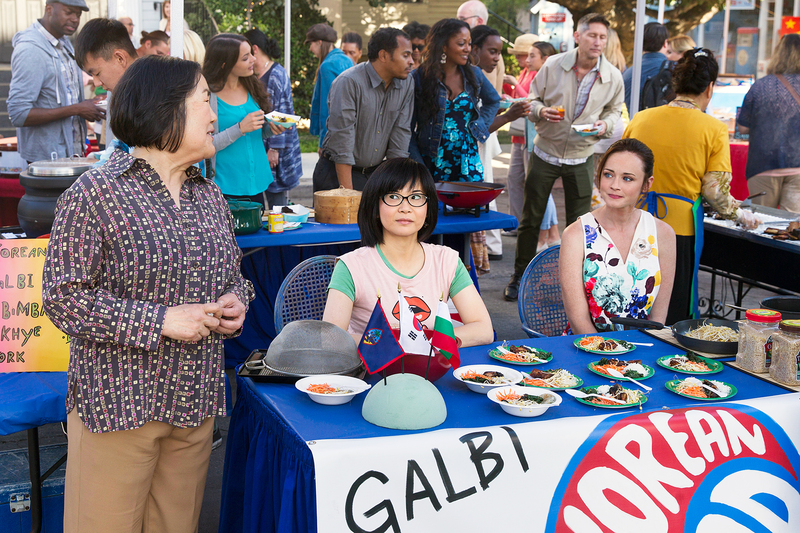 Kuroda — along with the rest of the cast — reprised their roles in the Netflix revival Gilmore Girls: A Year in the Life, which debuted in November 2016. It was revealed that Mrs. Kim is still running her antique business while Lane and Zack still jam out with their band, Hep Alien. In 10 years, Kuroda hopes that Mrs. Lane will be “taking care of” her grandchildren. Us Weekly: What was your audition like? Emily Kuroda: I went in and I had the Korean accent. And then Amy [Sherman-Palladino], the creator and showrunner went, ‘What are you doing?’ And I said, ‘a Korean accent.’ And she said, ‘Oh, don’t do that!’ So I got rid of it. It was great and so refreshing because usually people want more of the accent. She didn’t want any accent. Amy told me she’s very strict and like the military. US: What scene or episode from the original series made you think that the show was something special? EK: I think just the feeling on the set. There weren’t any divas. Everyone was equally supportive and everyone was so good. The writing is brilliant. You see the first episode and then watching Amy and Dan direct the show — talk fast, don’t talk down to the audience, let them catch up or not that’s OK. And there were so many Easter eggs in the script and she didn’t care whether people got them or not. US: What was one of your favorite memories from the original series? EK: Probably the Bracebridge dinner. I probably had one line in the whole thing. Because normally I was in Kim’s Antiques. Every once in a while I would be at the events that we’d have at the gazebo. But at the Bracebridge dinner for the whole week the whole cast was having the dinner. That’s where I really got to know Liz Torres and Sally Struthers and some of the other people I normally didn’t get to interact with. And Taylor Doose — he’s a favorite. So it was a week of just laughing. US: What was it like to reunite for the revival? EK: Oh, we had so much fun! It’s a testament to the show and to Amy and Dan [Palladino]. I think everybody they contacted did the show. It was a gift. It was as if no time had passed. Or it’s like you have Jared [Padalecki] flying in on his private jet. [Laughs] And then Melissa McCarthy — there was that whole thing with Melissa but as soon as that was ironed out there she was. It was wonderful. She didn’t have the time and then it was brought up in public. And Amy was like, ‘Look, show up and we’ll figure something out. If you got an afternoon.’ And they did. US: Were you shocked to learn the final four words? EK: Yea, I was. In a way. But in another way its like, oh how appropriate. US: Is it crazy to see that Alexis Bledel is a mom now? EK: It was wonderful! Because it’s been like 10 years or something. So it was just wonderful to see how she’s grown up and become exactly how I thought she would. A very responsible, very serious, kind, sweet mother. US: Were you Team Jess, Logan or Dean? EK: Dean! I was. I worked with Jared more. US: Were your parents just as strict as Mrs. Kim? EK: My parents — they didn’t care! But what I did is I imposed my own rules. I imposed my own rules. I decided I shouldn’t date until I was 16. As a child, that’s what I did. So I understand the need for rules and the appreciation of rules. US: Do you hope that there are more episodes? EK: I do. In my head maybe we have a 50/50 chance. It would be great if we did. We had so much fun on this last Netflix thing.